Marks Barfield Architects has reached the final stage in its construction of the UK’s highest observation tower outside the capital, reports Dezeen today. 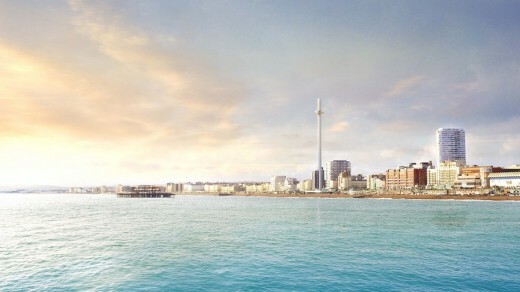 The Brighton i360 is due to open in summer 2016. 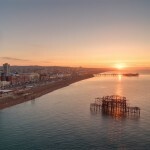 It is located at the historic West Pier on Brighton’s seafront. 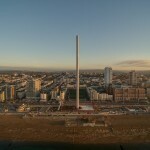 At 162 m high, and with an observation pod rising up to 138 m, the Brighton tower will be the world’s tallest moving observation tower. 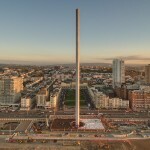 It will also be the tallest observation tower outside London. David Marks and Julia Barfield were the creators of the London Eye. The steel tower is constructed in sections named ‘cans’. The tower will be constructed by jacking up each steel ‘can’, placing the next underneath until the full height of the tower is reached. This method of erection is less weather dependent than using tall cranes. 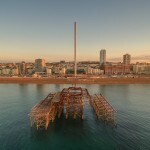 The steel ‘cans’ for the tower will be transported by sea and arrive on Brighton Beach. 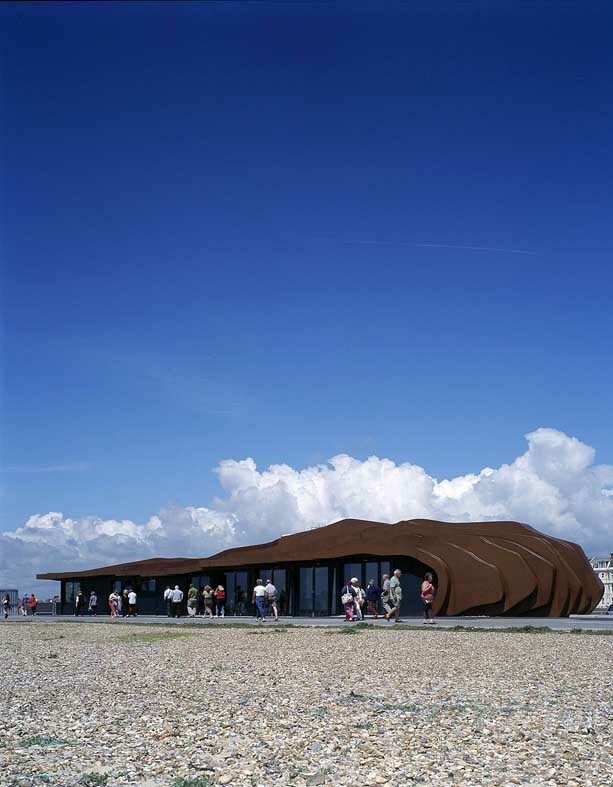 The team comprises of engineers and contractors Hollandia from Holland, Poma from France, Jacobs Engineering Group Inc (Jacobs), Marks Barfield architects from London and locally-based civil contractor JT Mackley and structural engineers Hemsley Orrell Partnership (HOP). 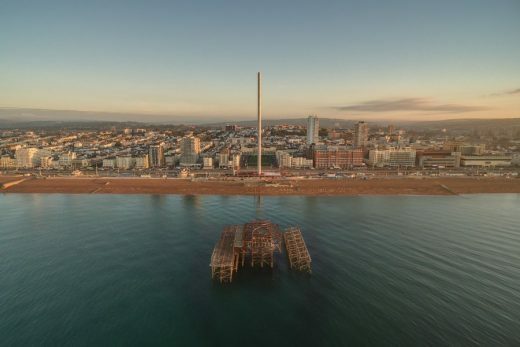 The international team who created the London Eye were reunited on Brighton seafront today as they prepare to build the Brighton i360, the tallest visitor observation attraction in the UK outside of London, designed by architects Marks Barfield. 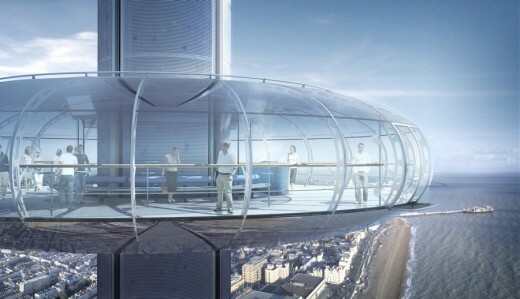 The i360 passenger pod is 18 m in diameter and has a capacity of up to 200 people at a time. The viewing pod will provide a 360 degree view through curved glass and will travel smoothly up from street level up to 138 m above sea level before returning to beach level. The engineering structure, which is in effect a vertical cable car but on a magnificent scale, was designed by Jacobs, a global provider of technical professional and construction services with experience in major leisure facility projects, including visitor attractions and passenger carrying rides. Jacobs and local engineering firm HOP will manage the project. 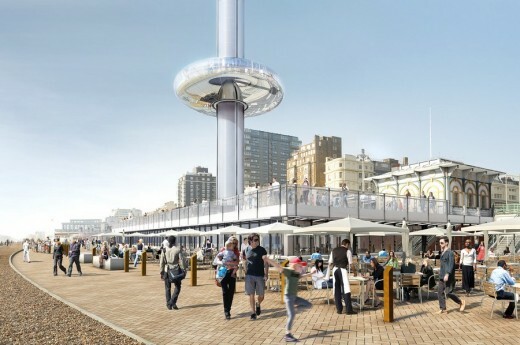 The Brighton i360 will create a moving observation tower experience incorporating a restaurant, retail shop, exhibition space and conference facilities at beach level. 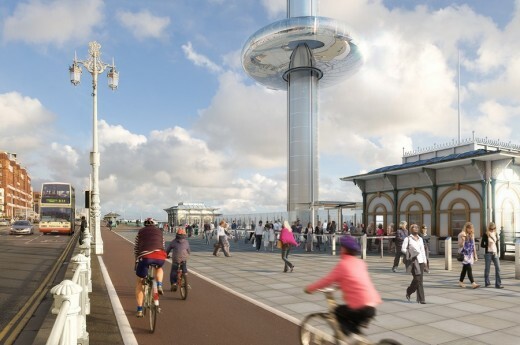 The attraction will be run by Brighton i360 Ltd, who’s CEO is tourism expert Eleanor Harris.